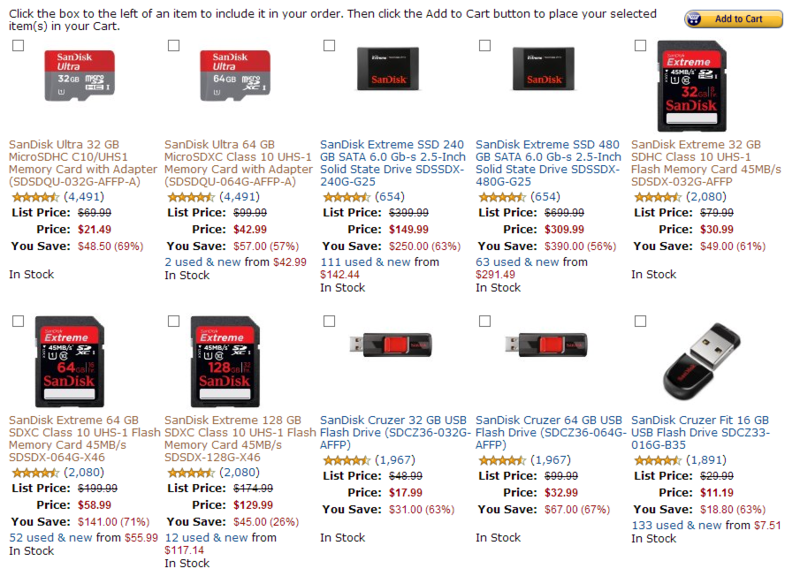 It's that time again, boys and girls: Amazon is having another massive Gold Box sale on SanDisk-brand memory cards and other storage mediums. 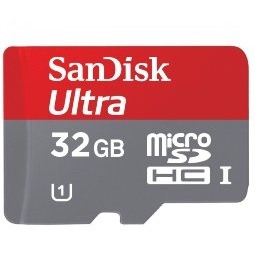 Specifically for mobile devices, the SanDisk Ultra 32GB MicroSD (SDHC) card with a free card reader is just $21.99, a savings of 69% off the retail price. The 64GB (SDXC) version of the same card is $42.99, 57% off the retail price of a hundred bucks. 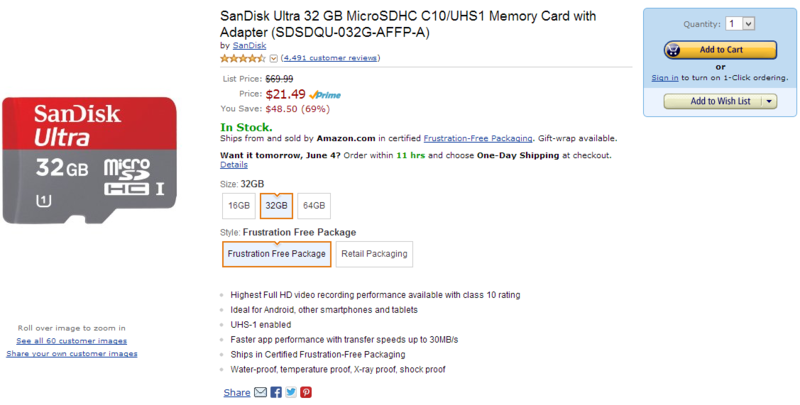 Both are currently in stock and qualify for Amazon Prime free shipping. The deals are valid for today, Monday, June 3rd only. If you've got a more versatile device (or just need some storage for your camera), the SanDisk Extreme SD cards are also on sale. You can pick up a 32GB Class 10 card for $30.99, a 64GB Class 10 SDXC card for $58.99, or a whopping 128GB Class 10 SDXC for $129. Between them, the 64GB card offers the most savings at $141, or 71%. If the prices on these standard SD cards seem high, remember that Class 10 has incredibly fast read and write speeds, ideal for digital SLR and video cameras. Other general deals include flash drives for up to 67% off, and some pretty sweet deals on SanDisk's SSD computer drives as well - their 480GB SSD is just $309, a savings of 56%. (Yes, I know these aren't really Android-related. Good deals, nonetheless.) Click this link for the whole range of discounted storage, or the individual MicroSD and SD card links below. Once again, these prices are good for today only.